Another Summer, written by Sue Lilley, tells the story of Evie and Joe, a married couple who have hit a rocky patch after uncovering lies and secrets within their marriage. Evie escapes to Cliff Cottage, a house left by her grandmother to do some soul searching whilst Joe stumbles through the countryside in an effort to find her. Old and new romances will be sparked as the couple reflect on their marriage and the twists and turns of their relationship. Will they reignite their old romance or will the lies and deceit be the final straw for Evie and Joe? Another Summer begins with an awkward phone call that will change the marriage of Joe and Evie forever. Evie manages her grief through running away whilst her husband, dressed in expensive Hugo Boss attire, drowns his sorrows in a bar contemplating his next move. Prepare for a rollercoaster of emotions as Joe decides to chase after the leading lady of his life. 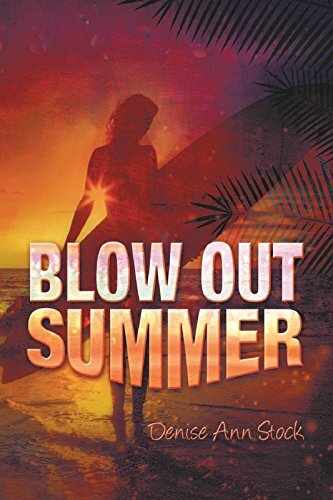 Summer flings, beach shacks and indie bands will come together for a teasing storyline that at times is hot and heavy with its seductive characters. Though the plot is steamy, the pace of the book is a little slow at times. I believe this was intentionally done to drive the readers to develop a burning desire to learn more. Another Summer questions the integrity of relationships and whether you would return to a partner after deceit. Many of us perceive relationships to be black and white, however, this love story opens the door to the possibility that love may be a grey area instead. Sue Lilley’s ability to bring the characters to life left me feeling genuinely concerned for the fate of each character and their relationships. Even the small roles of the story had their own individual plot that I quickly became invested in. One of the characters, Lisa, is a lost and lonely teenager, desperate for answers and acceptance of a male figure in her life. Even though she seems like a lost cause, the reader will be inclined to fall for her sweet demeanour as she tackles her own demons alongside the ride with Joe. The dreamy Jake will enter Evie’s life at a time where she feels the most vulnerable. With his boyish good looks and charming personality, it’s hard not to find yourself hoping he ends up whisking her away on a much deserved romantic holiday! But just like all of us, Jake is only human and has his own flaws and nuances to match. I enjoyed how the story paralleled real life with places in the present sparking memories of the past for Evie and Joe. The flashbacks into the past will remind the reader of their own teenage romances and the hormonal dramas that came with first kisses, parties and summer romances. I would recommend this to anyone who enjoys a romantic novel that questions whether relationships have the strength to survive the test of time. Does time heal old wounds? Should Evie return to Joe? Only time will tell.